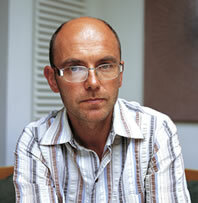 Video with fashion designer Wayne Hemingway. He is calling on welfare-conscious fashion companies around the UK to enter this year's RSPCA Good Business Awards, which recognise ethical business approaches to animal welfare. The RSPCA is calling on welfare-conscious fashion companies around the UK to enter this year’s RSPCA Good Business Awards, which recognise ethical business approaches to animal welfare. The RSPCA Good Business Awards fashion category, in association with Drapers, is looking to reward fashion retailers that can demonstrate excellent policies with regards to fur, leather skins and merino wool. It is free to enter, and companies can go to www.rspcagoodbusinessawards.com to download an entry form. “UK consumers continue to be concerned about animal welfare when buying products. Customers need to be sure the fur they are buying is definitely fake, and the animal whose skin was used to make their leather handbag was kept, transported and slaughtered humanely. for demonstrating an ongoing commitment to change. All entries for the 2010 awards will be judged by an independent panel of industry experts. detailed in an ethical consumer guide to choosing higher welfare companies. contacting the RSPCA Good Business Awards team on 0300 123 0488 or awards@rspca.org.uk. The entry deadline is Wednesday 30th June 2010.